It's because I think too much: Win this Sparkly Wristlet from Express! 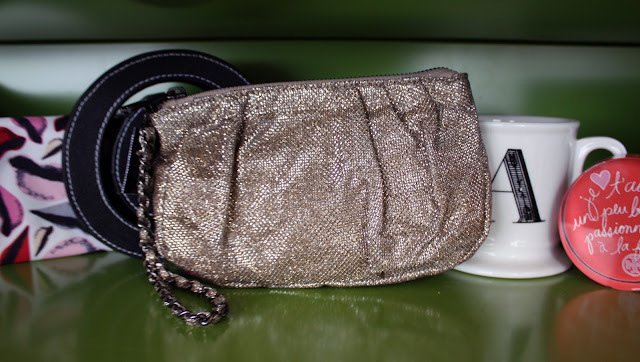 Win this Sparkly Wristlet from Express! Exciting news! Express kindly offered up this super-fab metallic wristlet from their 2011 Holiday Gift Guide to one lucky It's because I think too much reader! Want to win this sparkling beauty? Here's how! Then, submit your information here to complete your entry. Each place you follow equals one entry for a total of three chances to win! One winner will be randomly selected via random.org and notified via email on Dec. 1. This piece would be the perfect accessory for your holiday party look! So hurry and enter now because you only have until 11:59 pm PT on November 30th to enter! Now, spread the love and tell your friends you entered!